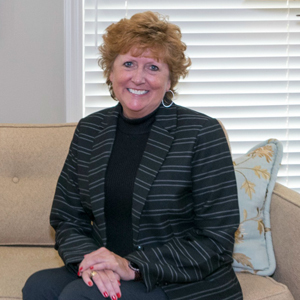 “I enjoy patient interaction and the opportunity to work with Dr. Terry and a great team in a refreshing environment.” Kimbi attended Columbus State University and Thomas Nelson Community College. Before becoming practice manager, Kimbi served in an administrative capacity in the legal industry, religious community, hospitality industry and the dental industry for more than 35 years. Having traveled a lot as the daughter of a U.S. Army Chaplain, Kimbi has enjoyed living in Columbus and calling it “Home” for the past 30 years. When she’s not at the practice, Kimbi enjoys cooking and preserving jellies, jams and pickles. Her Dad, two brothers and their families reside in North Carolina. Kimbi is very proud to be a committee member on Congressman Sanford Bishop’s Appointment Committee to the Service Academies. 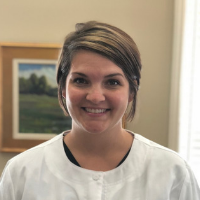 As a Registered Dental Hygienist (RDH), Penny enjoys building relationships and earning the trust of patients who allow her the opportunity to educate them on achieving and maintaining optimal oral health. She strives to treat patients like family, and she encourages them to call her anytime they have dental concerns. As a native of Columbus, Penny received her Associate of Dental Hygiene in 1995 and a Bachelor of Health Science from Columbus College. She has worked in the dental field for 30 years, 25 of which were as a hygienist. 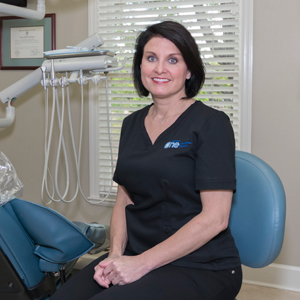 Penny is licensed in Alabama, Georgia and Tennessee, and holds a certificate to administer local anesthesia and nitrous oxide in Tennessee. Outside the practice, Penny enjoys cooking, gardening, SEC football (especially Auburn! ), socializing with friends, spending time around the water, and advocating for her special needs daughter Chandler. She has a Coton de Tulear dog named Izzy. Penny is involved with the National Federation of the Blind, American Foundation for the Blind, Georgia Parents of Blind Children and the Georgia Academy for the Blind Parent to Parent Group. As the practice’s patient service representative, Kathy loves interacting with patients and believes a smile is everything to them. 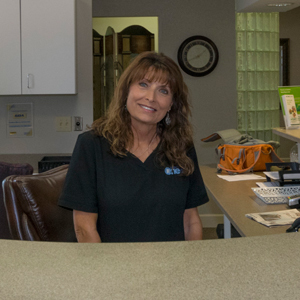 “I enjoy serving the Lord, loving people, meeting patients and bonding with them.” Kathy has 13 years of experience as a dental lab technician and 23 years of experience as a patient service representative. Kathy truly is the face and voice of the Practice. Her sweet spirit and compassion are beyond compare. Kathy is married to her husband Mike and has two children Kathryn and Joseph. Her hobbies include motorcycle riding with her husband and participating in church activities, particularly children’s programs. She also is involved with St. Jude and Compassion International. She also is growing and picking fruit on her property and sharing it with our patients and staff. As Dr. Terry’s Dental Assistant, Casey strives to please and take care of his patients. She is extremely organized, a quick learner, and takes on new challenges every day with enthusiasm and excitement. Our patients and our staff love her because she is REAL and she sings, hums, and whistles all day long. Casey is a gift to our patients and our staff team, and her giggle brings great joy to all of us. Casey is married to husband Trey. She has a son Kamden and is expecting her second child. Outside of the practice, Casey enjoys her time with her family. She is blessed to have a family who supports her personally and professionally (both her Mom and sister are in the dental industry). Casey also enjoys vinyl lettering as a hobby.